I love painting with oils, but I’m sorry that the process—layers of challenges, decision-making, exploration, discovery, and making mistakes and learning from them—disappears under the next coat of color. 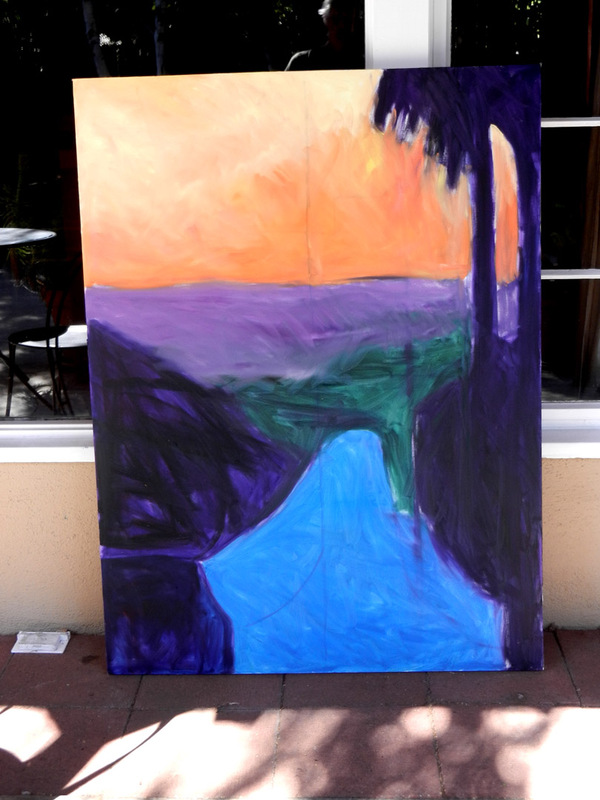 I decided to document and share my progress with a 3×5 oil painting of Adams Hill in Glendale, California. 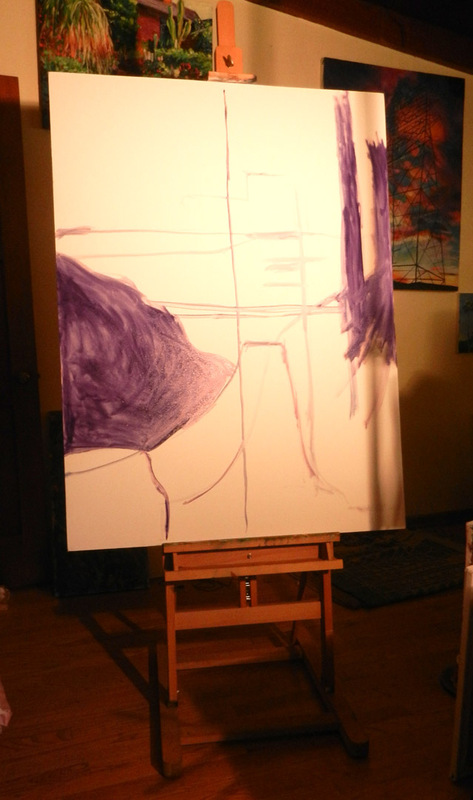 Last week I roughly outlined large shapes on my 3×5 canvas. This week I squinted at the source image (my own photo, altered in Photoshop) and a few more patches of dark and light popped out. I sketched them in and squelched the impulse to add smaller details. Finer colors and shapes called to me. They’ll have to wait, and time will tell if they remain compelling. Next I colored the shapes. The painting is loose and I had fun getting to this point. I love that it looks so spare. Should I stop here? No way! I love seeing the progress of your work. How the colors are coming alive. I can see the joy in it.